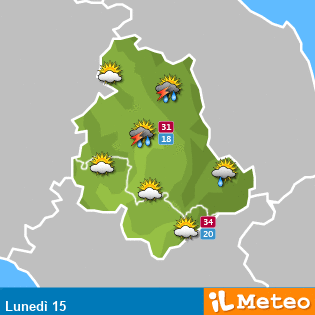 The weather in Umbria, Italy, depends a lot on the seasons. In general we can state that in July and August it is warm and dry. In May, June and September it is usually warm and dry, less hot than in July and August. In the autumn there is a higher chance of rain, but usually October is still nice. Heating is usually necessary from around mid October until around mid April.